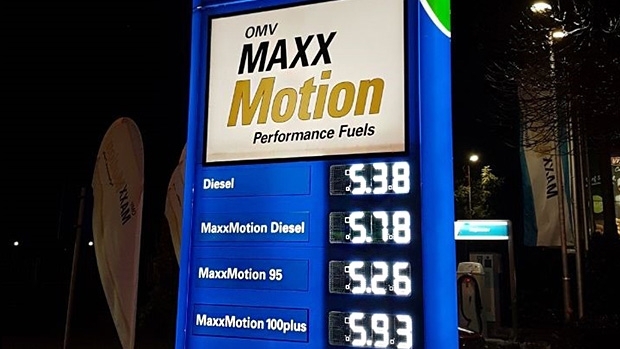 For more than 40 years fuel stations around the globe rely on German industry leader PWM for visibility: Innovative electronic price signs in over 75 countries, featuring reliable high tech with long lasting durability. While this quality is the backbone of PWM’s international success, service quality is the main driver further growth. 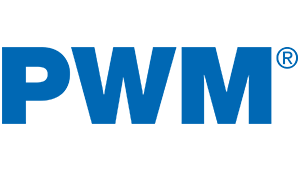 To achieve that, PWM works hand in hand with local partners and contractors, creating customer-oriented solutions from planning to continuous maintenance over the whole life time. This localized approach has helped PWM to understand the special situation in Eastern European fuel markets, dominated by a highly competitive environment with lots of sudden changes in recent times. In this surrounding, business owners have to make sure they stand out and leave a clear imprint on the market, no matter whether they run a big corporation or a small business as an independent fuel station. The first line of contact, the biggest chance to leave an impression, is the price pylon. It has to catch passing by drivers within seconds and guide them into the fuel station, where appearance and design have to back up the decision to make a stop. The first impression counts when it comes to fast decisions, much more than the advertised price, and it also makes for recurring business on the long run. Modern times have changed fuel stations and their purpose. Where motorists only filled the tanks of their vehicles, they now shop for all kinds of products, enjoy a coffee or a hot meal during a short break or even spend longer time in a restaurant or café. The demands of individual transport are set to change even further in the future, creating the need to communicate much more than fuel prices to travellers. Fuel stations need eye-catchers, attractive offers and fresh ideas. Many fuel stations decide for a TTM Module in their presentation: The “Time and Temperature” display gives drivers on the road an important information and attracts positive attention by simply being useful. This creates an anchor effect also for people passing by on a regular basis. PWM’s currently hottest product in the market is the Profitboard, made to bring Times Square feeling to road services, displaying colourful messages to potential customers at high speed. The boards can easily be added to a price pylon, but work just as well as standalone display on a wall or at the road side. Yet the traditional price display has seen some revolutions as well. Some of them happened behind the scenes, for example PWM’s TRACK system that connects to the internet and makes it possible to set the display from remote locations in real time. Much more visible than these silent revolutions is the high tech at the display itself. Modern SMD-LEDs, as being introduced by PWM, turn the price pylon into a lighthouse for drivers. They are highly visible even under the most adverse conditions. Harsh weather, fog, rain or snow are no match for the brightness and durability of the LEDs, and they also look better, leaving a modern, clear, and tidy impression. 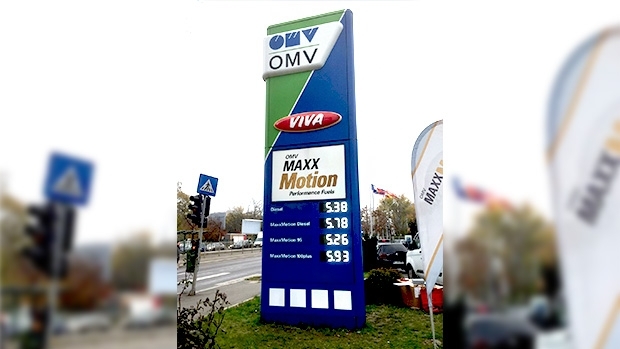 A growing number of businesses in Eastern Europe decide for the new technology, for example the leading Romanian Energy concern OMV that switched 155 fuel stations to the new SMD-LED standard. The whole process took no more than three months of concerted action between PWM and a group of well-trained local partners. OMV changed from traditional segment displays to LED, taking advantage of a PWM specialty, the Retrofit system. Renewing displays doesn’t always require a complete replacement when using Retrofit, a concept that modernizes existing systems to modern standards by exchanging the relevant parts only. The Retrofit process is fast and painless, does not disturb the running business and keeps the investment low. The modern displays are slimmer, far easier to maintain, energy saving without the need for extra lighting and they remain reliable even under the toughest conditions, for example when it comes to water resistance compliant to the IP67 standard. Integrated temperature control and automatic brightness control via sensors guarantee best visibility and high life expectancy. But even if a complete replacement is necessary, the benefits of modern LED systems outweigh the costs by far. In this case the Retrofit concept guarantees that there won’t be another complete renewal needed anytime soon: Keeping your systems up to date is child’s play with PWM’s technology. Making a stand in modern mobility, but also being future ready is paramount for lasting success. PWM works hard to deliver the tools and the service to reach this goal.